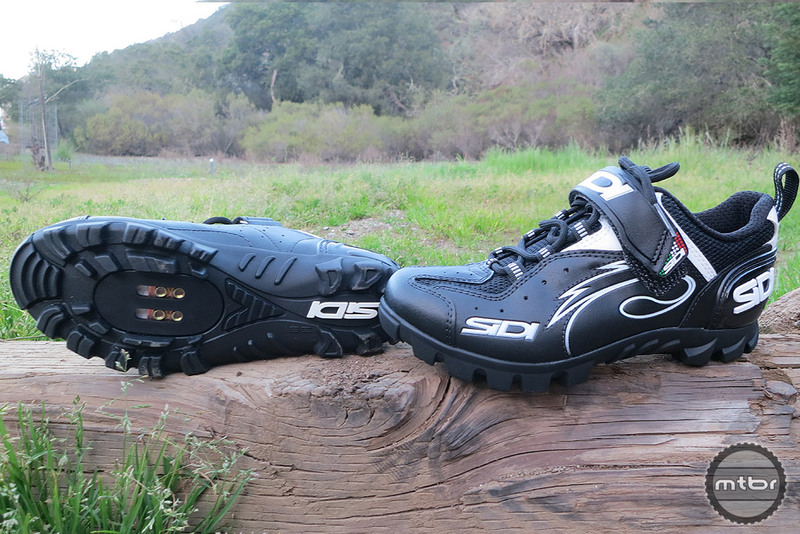 The new Sidi Epic shoes are all-day comfy and won’t break the bank. It’s actually been a while since I’ve had a pair of Sidis, but as soon as I slipped these on I instantly remembered the reason that Sidi’s are so popular. The fit is SUPER comfy and putting these on feels like putting on a pair of your favorite worn-in sneakers. The Epic is towards the “value” end of Sidi’s line with an MSRP of $199.99 (Sidi’s top-of-the-line MTB model sells for $500). The Epic comes in two colors (gray and black) and comes in whole sizes from 38 to 48. 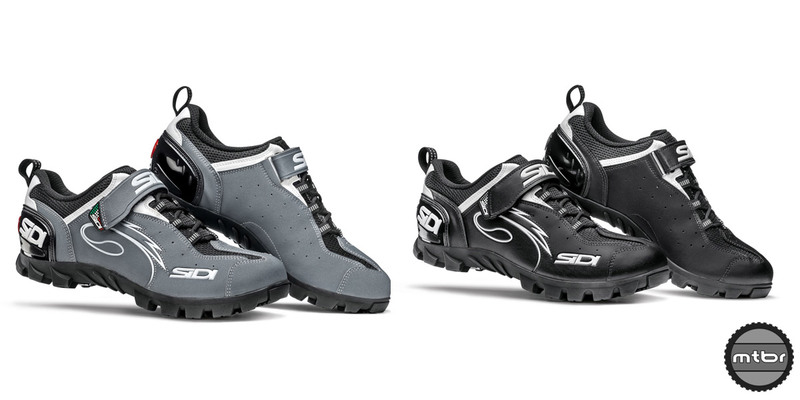 The all new Sidi Epic comes in two colors: gray and black. The Epic are designed as a warm weather shoe and features Sidi’s own outdoor sole. The sole is not super stiff racer style carbon, the Epic sole is made from rubber so it has a bit of give to it. The shoe features laces with a single Velcro strap at the top. It has a heel loop for ease in getting it on and off. The external, reinforced heel cup provides a secure fit and feels good. We will be testing these in the weeks to come and will deliver a full review and rating. 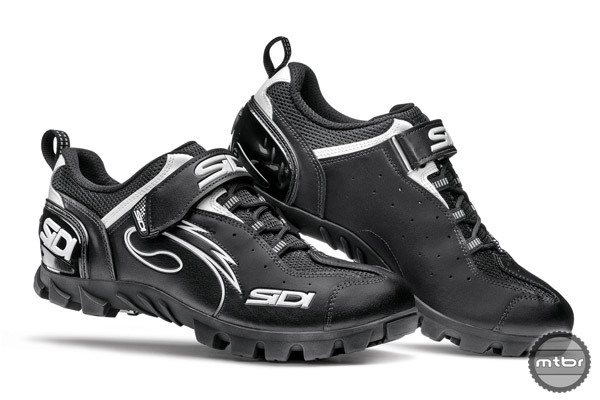 We have already experienced the great Sidi fit, we expect their tradition of quality and durability to continue. Sidi Heel Cup: Reinforced cup that stabilizes and supports the heel. Anatomically shaped plastic, reduces heel slip and provides increased power transfer. Provides additional foot protection in the event of a crash. Outdoor Sole: The Outdoor rubber high performance sole has the correct density for variable trial conditions and has been designed to provide excellent grip and to easily expel mud and debris. 4-holes plate for SPD pedals. Regular Width: Regular Width. Standard Men’s D width. Precise fit. For more information about Sidi shoes that are available in the US, please visit their US Distributor www.ciclista-america.com. Any idea how these compare to the Pearl Azumi X-Alps? They look the same. Can I go bowling in these too? Great. Another trail shoe made to scramble through the muck and mire – with mesh. These are on my wish list. Lace up cycling shoes are the way to go for fit and durability. Νο experience on this model, but my 7 year old Sidi Giau’s don’t show any significant wear. Only normal scratches and scrapes, and I ride very rocky terrain. 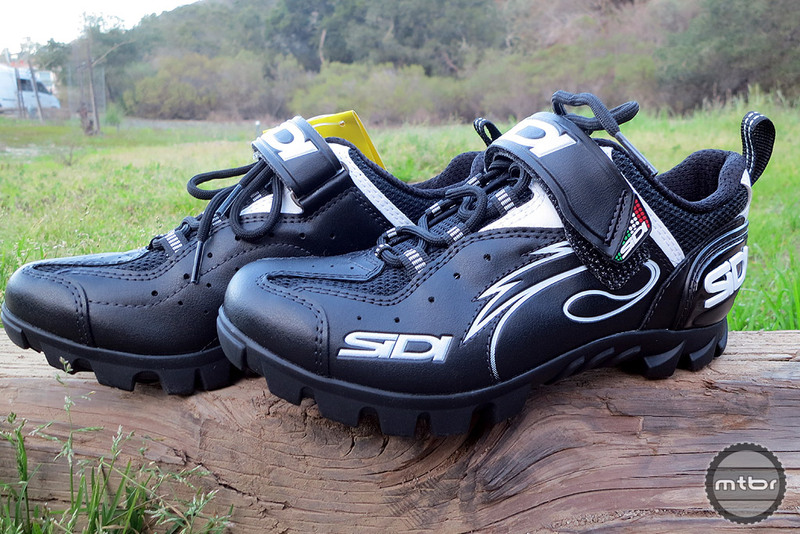 If you consider how long they last, sidi shoes are actually great vfm… not to mention the excellent fit.